In my post, I am going to show you the best free website builder for WordPress. It is the only place online where you can get a fully functional WordPress site and highly secure and high performing hosting for zero dollars. I will talk about the benefits of using a WordPress site and also about the pros and cons of my recommended website builder. The free website builder featured in my post is …. SiteRubix.com. Let’s chat about WordPress first, and then I will tell you all about my favorite website builder platform. According to Wikipedia, WordPress was used by more than 27.5% of the top 10 million websites as of February 2017. WordPress is reportedly the most popular website management or blogging system in use on the Web, supporting more than 60 million websites. WordPress is a Content Managment System which enables the user to edit, create and publish their content without any technical knowledge and still to be in control of the design and how it is displayed on the web. Good for SEO (Search Engine Optimization) which will help with ranking in Google and other search engines. You don’t need any knowledge of coding. You can improve the functionality of your site by adding plugins with the click of a button. You can also install different themes in your WP dashboard and switch between themes. WordPress offers over 2400 themes. Themes are templates that will give your website a design layout, structure and visual appeal. Most WP themes are mobile responsive which has become more and more important in the last few years. SiteRubix is Wealthy Affiliates own platform for building and hosting a WordPress website.It uses open-source WordPress software to build websites. It is very easy to set up, and you can build a website in literally under one minute. I wrote an in-depths article about how to build a website including a step-by-step video tutorial. 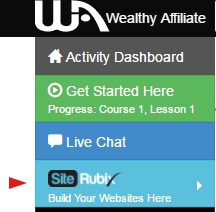 Before you can build your Siterubix website, you will need to set up a free account with Wealthy Affiliate. You don’t need a credit card. All you will need is a username, an email address, and a password. 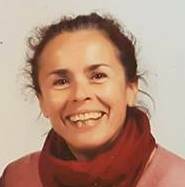 Since Wealthy Affiliate is, besides being a hosting and training platform, also a community of like-minded internet entrepreneurs, you can also upload a photo and write a blurb about yourself. Here is the link to open up your free account. It would look like this: bubbles.siterubix.com. SiteRubix is a subdomain, therefore the extension in the web address. As you can see on the screenshot, don’t worry too much about picking the right name. You can always change it later. It is really that simple. Now you can go inside your WordPress dashboard and start adding content, images and create your own style. A Fully Functional WordPress Site. Did I mention you even get two websites for free (!) with a free account at Wealthy Affiliate? Free Hosting on a secure and high-performing hosting platform. In-build AllinOne-SEO plugin, one of the most popular SEO plugins on the market – helps you to optimize your posts and pages for search engines. As a result’ it will improve your websites rankings. You can monetize your site by adding affiliate links. No pop-up ads or notifications that you are using a free website. Access to WA affiliate program. Access to the 10 Lesson Online Entrepreneur Program – Getting Started Level 1. Highly recommended! Full Access to the Community and training at WA for seven days. After the seven days limited access to the community. SiteRubix is a subdomain, so you don’t own the domain. Only four plugins available which are preinstalled. You can choose from twelve themes which are somewhat limited. No access to File Transfer Protocol (FTP) which means you can’t transfer files from the computer to the website server. Even though the themes choices and plugins are limited the Pros are fantastic. 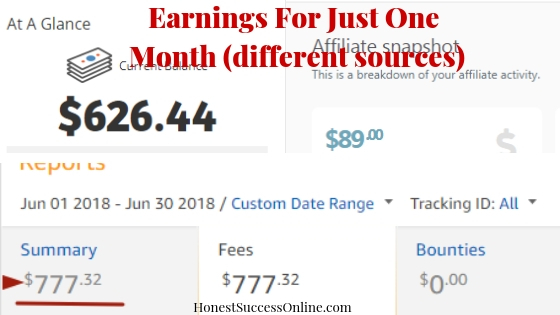 The step-by-step training you will get access to, and the ability to monetize your site is a huge advantage compare to other website builders. Another big plus is that they are no pop-up ads unless you are going to add ad banners etc. So you are in full control of your website. Wealthy Affiliate’s hosting platform is secure and high performing. Site support is available 24/7 365 days via issuing a site support ticket. The site support staff are usually replying in within minutes. If you do decide to buy your own dot com name, you can transfer your existing SiteRubix website with just one click. You also get TWO WordPress sites for FREE. A free WordPress site on the Siterubix platform is great if you want to get started with a blog or a website. You can have a play and try different things. You can create an online business with a SiteRubix domain, but it will take longer than with a dot.com domain. Here is a success story from a WA member with his SiteRubix site. If you are serious about building an online business, I would recommend to become a Premium member with WA and buy your own domain. A dot com domain will be your personal real estate on the Internet. SiteRubix.com is the best website builder in my opinion even tough they are a few little drawbacks as pointed out. 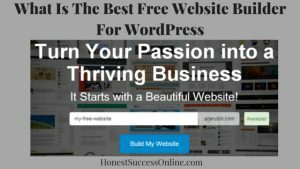 But you won’t get two WordPress sites plus free hosting plus a free domain plus an online training course plus access to a helpful community of like-minded entrepreneurs anywhere else. So I invite you to try this excellent website builder for yourself and build your site today. If you have any questions or feedback, please don’t hesitate to leave a comment below.